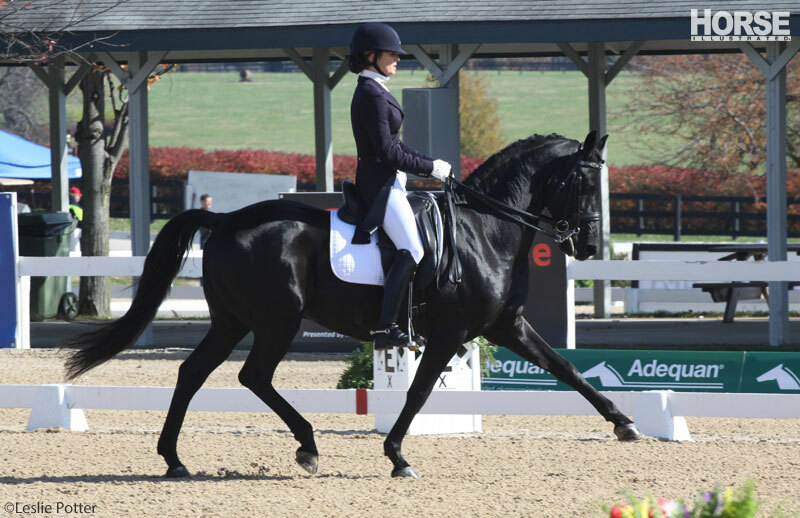 From Nov. 6-9, top horse-and-rider teams from around the country came to the Kentucky Horse Park to compete in the U.S. Dressage Finals. The competition awards championship titles to competitors from Training Level through Grand Prix. The U.S. Dressage Finals is an invitational competition. Horses and riders must qualify by placing in an eligible division at United States Dressage Federation Regional Championship. Wild card spots are available for nominated competitors who earn a qualifying score at regional championships. To learn more about the competition and see full results, visit www.usdf.org/usdressagefinals. See more video from the event at USEFNetwork.com. Watch Devon Kane & Destiny win the Open Grand Prix Championship in the video below. 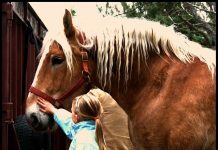 The biggest story of the show was Heart B Dyna, a mule mare who was ridden by Laura Hermanson at Training Level at the Finals. Patricia Becker and Edward, a Dutch Warmblood Gelding finished in second place in the Training Level Test B Open. Elfenfeuer and Alice Tarjan, an Oldenburg gelding competed at Intermediate. Katelyn Myllykangas and Favory Canada, a Lipizzan stallion, competed in the First Level Freestyle Amateur division. Lucy Tidd and GKB Coal Magic, a Morgan stallion, competed at Intermediate. Jessie Myers and HPB Wradish, a Hungarian gelding competed at Second Level. Lisa Battan and Imparable, an Oldenburg Gelding, competed at Training Level. 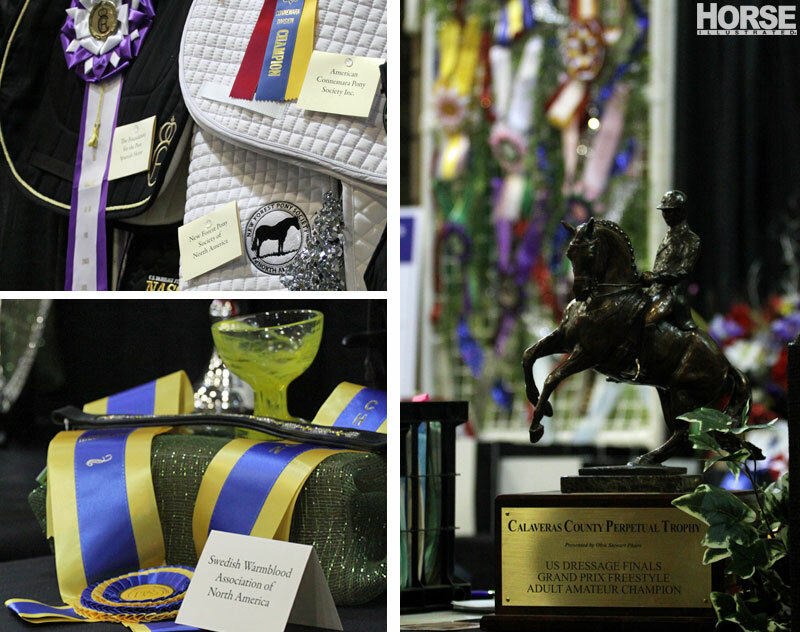 Some of the awards on display, including those sponsored by various breed associations for the high-scoring individual from their breed. 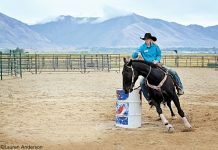 Eline Eckroth and Indigo’s Royal Knight, a Gypsy stallion, took a victory lap for their eighth-place finish in the First Level Freestyle Open Championship. Tammy Feldmann and Quater Boy, an Oldenburg gelding, competed at Second Level. Part of the Kentucky Horse Park’s Southern Lights display can be seen in the background. Kymberly Pullen and Sir Eastwood, an Oldenburg, completed their Training Level test in a downpour. Stacy Hastings and Trijntje v/d Bokkefarm, a Friesian mare, were Reserve Champions in the First Level Freestyle Open. 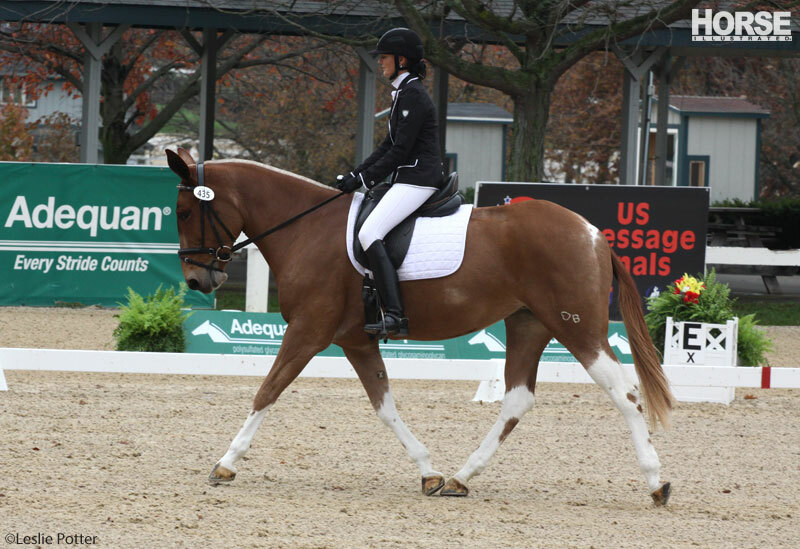 Amy Stur and Weis V/D Klumpert, a Dutch Warmblood mare competed in the adult amateur Intermediate B Championship. Lynnette Wadsworth and Weitze G, a Friesian gelding competed at Intermediate. Heather Miller and Bit A Gold, a Paint gelding, competed in the First Level Freestyle Amateur. I had to come back and show the photos to some friends!